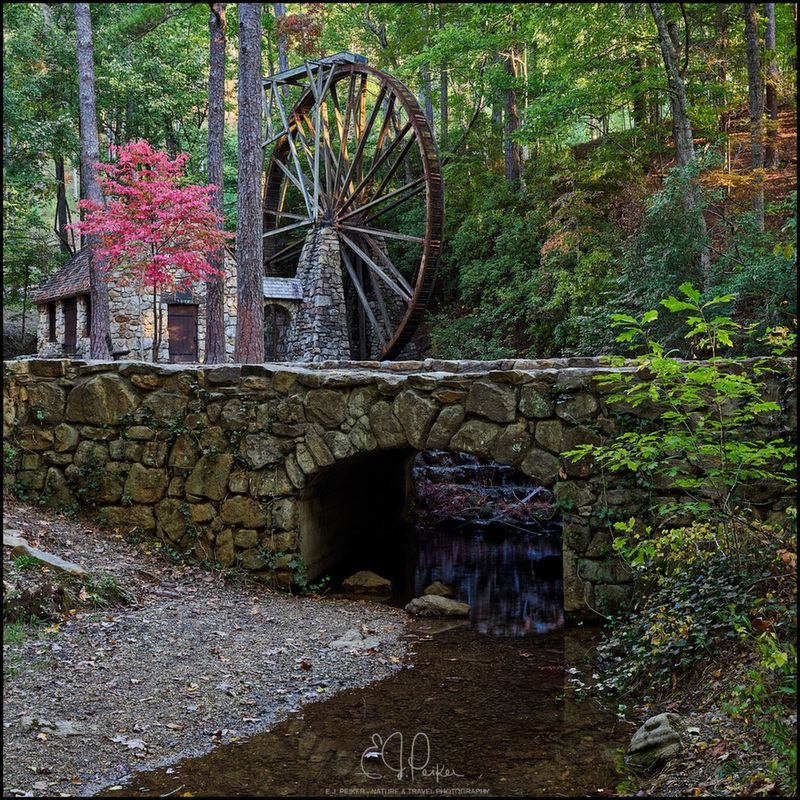 A different perspective on the wonderful waterwheel in the 127,000 acre nature preserve attached to Berry College in Georgia. That red leafed tree in the upper left is definitely the star in this image. I like this view even more than the last! The different angles and layers throughout the scene are beautifully captured. I like this perspective, showing off the wheel and the tree really stands out beautifully.